SponsoredReplacing your windows and doors is a big investment meaning that it is important to choose the right company to carry out the work. Both the manufacture and the installation need to be carried out to a high standard. No matter how good the installers are, if the window has been poorly manufactured, it will quickly deteriorate. Similarly, if the installation is not carried out to a high standard, the window will not be able to perform at the optimum level. Reviews from previous customers can help provide you with a good idea on both the quality of work and the level of customer service you can expect. Don’t waste money by compromising. It is better to do things properly once than having to redo the work a few years later because it wasn’t completed to a high quality. The Sash Window Workshop: manufacturing a new window. The best way to check the quality of the manufacturing is to visit the company that you are looking to buy from to see how the windows and doors are made. This allows you to see the manufacturing process in person and ask any questions that you have. When visiting the company, check the quality of the materials used and whether they can manufacture the windows and doors to the precise style you are looking for. Check whether the same company manages the installation process. Having one point of contact makes it easier to sort out any issues and means that the whole process is likely to be smoother, as the company can monitor the quality from start to finish. The Sash Window Workshop’s installer working on a timber window. Don’t accept the hard sell. A good company should listen to your requirements and help advise you on the best solution for your home, explaining the different options. Any quote should be in writing and be comprehensive and transparent. Be cautious of companies offering a large discount. This often means that the price was over inflated originally to compensate. If you are unsure about any part of your quotation, ask the salesman to clarify. When comparing quotes, it is important to try and compare like for like. Different timber, glass, finish and ironmongery can all result in a different quality of product and a different price. Only contact companies that are registered with FENSA. FENSA is an official government authorised Competent Person Scheme assessing that companies comply with building regulations in England and Wales when replacing windows and doors. Check for any accreditations where the company is assessed to check that they meet strict criteria before they are endorsed, such as Which? Trusted Traders. Timber front door manufactured by The Sash Window Workshop. The quality of the after sales service is also important in case there are any issues that need addressing. Ask for a receipt for any deposit you pay and check the company can provide you with deposit protection insurance. Check the warranties. If the product is high quality, you are likely to receive a longer warranty period for it. However, it is also important to check that the warranty is sensible and covers you properly. Overly long warranties sometimes won’t cover common issues, so may mean nothing. 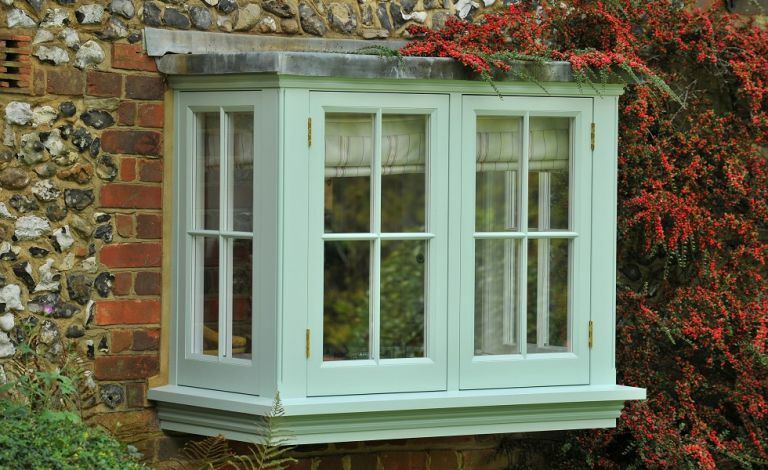 The Sash Window Workshop have been manufacturing and installing replacement timber windows and doors across London and South England since 1994. The company understand the importance of providing excellent customer service alongside a high quality product and are happy to show potential customers around their workshops in Bracknell, Berkshire by prior appointment. They are FENSA registered, have a 5 star Trustpilot rating and are members of the Which? Trusted Traders scheme. To obtain a free, no obligation visit and quotation, contact their team on: 01344 868 668. To view additional advice on replacing your windows and doors, please click here.